Trust is always a tricky thing to earn. It’s even trickier when you’re talking about the trust between a creator and the fans of whatever it is they create. One wrong move, one misstep in how a character’s arc is handled, one bad interview—and that trust can be easily damaged, if not completely destroyed. However, there are still those creators we trust—the ones whose beliefs about what makes good literature, films, or television align so closely to ours that we seem to nod along with every interview they give. Those are the creators we’ll follow to the ends of the Earth, trying new books, movies, or shows we might never have been interested in had we not known they were created by someone we trust. That’s exactly what happened with me and Brooklyn Nine-Nine. I don’t regularly watch a lot of comedies. I wasn’t the world’s biggest Andy Samberg fan. The idea of a comedy set in a police precinct wasn’t something I knew I’d love immediately. However, it had Mike Schur’s name attached to it. And I trust Mike Schur. Brooklyn Nine-Nine has done nothing but increase the level of respect I have for and trust I have in Mike Schur. When people act surprised by the show’s diverse characters, its inherent warmth, its successful risk-taking in terms of its central romance, and its well-developed female characters, all I can do is smile and say I’m not surprised at all. This is what Mike Schur does. This is who he is. And this is why I trust him. Schur was obviously a very big part of The Office, but he earned my trust as the heart and soul of my favorite television show of all time: Parks and Recreation. That show never let me down—not once. And it was all because Schur dared to embrace a concept that so many other showrunners seem afraid of: Stable, healthy, and happy relationships can form the backbone of a great television show. Whether it was friendships or romances, the relationships on Parks and Rec weren’t toys to take apart and put back together to create conflict; they were treated with care. And that’s because Schur is a bit of a romantic, which is probably why I trust him so much. Schur has stated numerous times that he doesn’t believe in mean-spirited comedy, and that’s clear in his shows. His characters build each other up, and when they do act like jerks toward each other, they admit it and apologize. That may not sound revolutionary in the real world, but in the world of TV comedy, it’s still something that sets Schur’s shows apart from the pack. I love when showrunners believe in something as strongly as Mike Schur believes in creating comedies about good people in stable, loving relationships (both romantic and platonic). It makes it easy for me to trust that—even when conflict happens or things look bleak for characters or relationships I love—things are going to be okay. I don’t need that reassurance for every show I watch (I’d never ask for it from The Americans, for example—that’s a show with showrunners I trust for entirely different reasons. ), but I’m someone who doesn’t love to feel anxious every time I watch TV. Sometimes I just want to know that the show I’m investing in is going to make me happy when all is said and done. That’s exactly what I believe every time I watch Once Upon a Time. Even when things are at their darkest (quite literally in this season’s case), I have complete faith that the characters will emerge from their struggles stronger and happier than ever. That hope isn’t blind; it’s something I have because I trust the show’s creators, Adam Horowitz and Edward Kitsis. Like Schur, Kitsis and Horowitz aren’t afraid of creating things like numerous, well-developed female characters and strong marriages between equals. They also believe in optimistic television, stories that ultimately makes you feel inspired and hopeful. There’s a place for pessimistic television, but a show about fairytales isn’t it. And I love that Kitsis and Horowitz know that and respect what their viewers want to see: stories about all kinds of love overcoming all kinds of obstacles. I don’t like feeling cynical; I’m a hopeful person who likes feeling that way. And I think that’s why I trust Schur, Kitsis, and Horowitz as much as I do. They’ve created shows that are completely, unashamedly hopeful. There’s nothing cynical about Parks and Rec, Brooklyn Nine-Nine, or Once Upon a Time. Those shows wear their hearts on their sleeves and aren’t afraid to focus on building people up instead of tearing them down, and it takes a brave showrunner to create that kind of television in today’s media landscape. Those three showrunners have created shows where warmth and goodness are prized far above “edginess” or coolness, and that’s how I like my television. Television is a matter of trust. With more options than ever, it’s easier than ever to just jump ship when a showrunner has lost our trust or to refrain from starting a show because when don’t trust its creator. So which showrunners (or creators of other kinds of media) do you trust with your fangirl (or fanboy) heart? And how did they earn your trust? This entry was posted in About Me, Fangirl Thursdays, Television and tagged about me, brooklyn nine-nine, fangirl thursdays, nerd musings, once upon a time, parks and recreation, television by Katie. Bookmark the permalink. excellent, excellent!! I didn’t know that Mike Schur was attached to both Parks & Rec and B99, but upon reflection, I’m not really surprised. And that strong, stable relationships thing is one of the things that absolutely won me over about Parks and Rec. Will-they-won’t-they is fun for a while, but when every show on television is doing it, it bores me. I love this new trend with shows like Parks & Rec, B99, and OUAT that demonstrates that real drama, real humor, and real entertainment is to be found in happy (most of the time!) and stable relationships. Part of that, for me, is creating stories that continue to speak to me as I grow. I’m married now. I have kids. I want to see in my stories that life can still be exciting and fun and, yes, even dramatic, after we’ve already found each other. I want that because I know that it’s true in my own life, and I want that because I want other people to BELIEVE it so they have hope for the future of their own stories! Idk if that made sense, I just have a lot of feelings about shows that have stable relationships at their core. I am all about that trend spreading like wildfire. And these creators have made me love them even for just that reason, though there are many other wonderful reasons to love them! I JUST LOVE MIKE SCHUR SO MUCH. I LOVE YOUR LOVE OF MIKE SCHUR SO MUCH. I’ve been so excited to post this all day because I was waiting for your reaction, and it did not disappoint, friend. That quote is absolutely perfect, and I will never get tired of people saying nice things about Mike Schur. Mike Schur is always going to be #1 on the list of showrunners I trust. I trust him to treat his characters with care and respect. I trust that genuine affection between his characters will always be at the forefront of his comedy. I trust that relationships will be at the heart of his shows. It means a lot to me to have a showrunner who I can trust to champion the idea of the happy, stable couple and there is no one better at that than he is. I also trust Jason Katims and will watch anything he makes. He makes some missteps with plot and characters from time to time, but I trust in his ability to evoke genuine emotion. His reputation for making viewers cry regularly is not unearned but he manages to keep it from becoming a crutch. He writes and understands people so well and trusts his actors to know their characters. It’s that trust in his cast that translates so well onto the screen because they are able to fully be their characters rather than having to stick to someone else’s interpretation of who they should be. The point you made about Mike Schur treating his characters with respect is so true. And it goes for all his characters—not just the main ones. And because he respects his characters, he respects the direction they’re heading in. His characters are always growing and moving forward in their lives, and the fact that this is true for the supporting characters as well as the big players is yet another reason I trust his vision so much. Sadly, I don’t know that I have showrunners that I trust at the moment. I used to trust the Castle showrunners (and I would still trust Andrew Marlowe & Terri Edda Miller), but the new showrunners have lost me with this week’s episode. I have trusted a few showrunners before on various shows and gotten burned, a couple times where it felt like they burned the fans on purpose, so it’s harder to earn my trust than it used to be. There’s a few that I trust to continue their show in the vein that it’s been going in (HTGAWM, the NCIS’s), but they’re not shows where I’m heavily invested in the characters’ personal lives so if they made a decision with the characters that I didn’t like I probably would feel disappointed but not necessarily betrayed. I hope, though, that as I catch up with Brooklyn Nine-Nine I will grow to trust Mike Schur because what you described is exactly what I want from (most of) my TV shows. It seems like it’s so rare to find a showrunner who believes in comedy that is not cruel, and in characters that are still interesting while being happy together, so I’m glad he is out there. I really do hope that your journey through Brooklyn Nine-Nine allows you to come to love and trust Mike Schur the way I have. If you ever have time, check out pretty much any of his interviews about any of his shows, too, because he’s so open about his philosophy about what makes good television—and I think you’ll really like and agree with his points. Mike Schur is my savior. 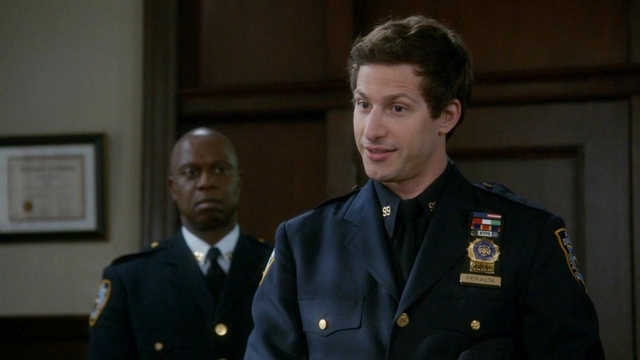 B99 has filled the void created by P&R quite nicely and I am excited to see where this season of B99 goes. This is a tough subject. There are so many fandoms where the fans dont trust the showrunners. The X-Files comes to mind at the moment with CC’s controversial decision to break up Mulder and Scully (I for one, and surprisingly ok with it). I think I learned very early on back when Robert Downey Jr broke my heart getting fired from Ally McBeal that TV isnt perfect. Its a living breathing thing with so many outside forces and circumstances outside of the showrunners control. It makes TV frustrating sometimes, but its also what makes it fascinating to me. Most of the time I am just in awe that anything of substance gets created at all with everything going on. So, I guess you can say I have a certain level of emotional detachment from TV because of this fact [look out for yourself and you’ll never get hurt]. I think its also a bit easier to trust showrunners with large ensemble casts. Its much easier to feature healthy relationships between couples when you have more characters to spread the story around with. If you just have two main leads, it gets a little harder to make compelling television. I think of my own stable relationship and I probably dont even have enough material for a movie let alone a TV show, lol. All this said, it is nice to have faith in the people running your show. For me, it only comes down to one question. Does the showrunner love these characters as much as I do? If the answer is no, then I am not going to put much faith in them. But if I can tell myself that the showrunner and the writers truly love the story that they are telling, then I can trust them. I might not agree with them, but I can at least respect them and move on. This is kinda why I am fiercely protective of content creators, because I dont want them to get discouraged and burnt out. A crappy story with a showrunner and writers who dont care? Well then you are just wasting my time. I am really just rambling here, but I have a lot of feelings about TV and the communal effort that goes into it. Its really hard to find a great showrunner, because running a show is freaking HARD. I love TV. I want the people making my TV to love it too. In conclusion, I just have a crapton of respect for Mike Schur. Is this even on topic? Ive had a long week, lol. Like you, B99 is really filling the Parks and Rec void in my life. It’s quickly becoming my go-to show to rewatch On Demand when I need something happy to focus on, and that’s when you know I love a show a lot. I definitely agree with your assessment that it’s easier to trust showrunners when they have big casts to work with. Parks, B99, and OUAT all have huge casts, and I think that’s always worked in their favor. I also loved what you said about believing the showrunners love the story they’re telling and that being enough for you. I think that’s the core of it for me, too. I noticed when thinking about the shows I talked about in this post that I like shows and showrunners that are out to prove a point—namely, that optimism and good people who care about each other can be at the heart of a great television show. So much of my trust for the people behind those shows comes from knowing how deeply they believe in the messages behind the content they’re creating. And that makes me very protective of them and their work. I’m not someone who knows who the showrunners are on a lot of the shows I watch. It’s not something I was particularly aware of before I entered this fandom space. But the more I learn about how TV works the more I see what an important role the showrunners have to fight for what they believe the show to be. It seems like there are pressures coming from all sides – fans who want the show to be one thing, and studio people who want the show to make the advertisers happy and to pull certain ratings. Probably a lot more than the average fan even knows. And it’s a risk because, until recently, if the studio decided that the show wasn’t performing, the show would be gone forever. I remember when it looked like Parks and Rec wouldn’t survive to finish telling its story, but they never wavered from telling the story the way they wanted to, and perhaps because it was a show that didn’t want to last forever they got a chance to finish it. I have to wonder if there were meetings where the people making the show said “just give us 2 more years so we can wrap this thing up. I promise it will be worth it even if our ratings don’t look so good. The viewers will remember that you let us finish – they’ll never forgive you if you can us now!” I don’t know, but maybe. I saw you answered a question about New Girl recently on Tumblr, and your answer reflected how I feel about that show now – the creator doesn’t seem to love her show any more, she was never clear on where she was going, the creators and actors seem to have a different view of the characters than many of the fans do, and care wasn’t taken with those characters after a certain point. I’ve heard people say that they’re just working through their contract and then it’ll be done, and the more I think about it, the more I believe that to be true. It’s starting to feel like a show that wants to be canceled. I feel like Liz wrote herself into a corner, changed her mind about really wanting this at all – maybe she isn’t mature enough to commit to anything, just like her characters. (That sounds mean, but I feel like they would have ditched this show after season 2 if they could have). I used to say I trusted the writers, but at a certain point I couldn’t any more. I think that’s when a person moves from being a fan to just watching a show (or not). Once is my first show with Eddy and Adam, so I’m not sure if I should trust them as much as I do. But when we started talking about the most recent memory loss I started thinking either they did it with tongue in cheek, rolling their eyes along with us, and/or it really couldn’t be avoided if they wanted to tell this particular story. I trust them not to do something lazy and thoughtless. Not that they’re perfect, but I trust them to tell the story they’ve set out to tell. And I trust the writers and actors to stand up for their characters and make sure they stay in character. The way that E&A engage with the fans and present themselves makes me trust that they care (unlike the way Liz M refused to engage with NG fans or wrote and said things that were not at all in line with the story we thought she was telling – red flags!). If I’m emotionally invested I want to know that a showrunner is too. I don’t know the name of the person/people who run Jane the Virgin, but I know that one of them is a woman who wants Jane to be everything the fans want her to be – a strong woman with an authentic story that reflects her culture and values. So I trust that she won’t back down if the studio says they want something more safe and stereotypical. I love how similar our thoughts on New Girl are. It’s so sad to think that something that was once so good was actually nothing more than a happy accident because the showrunner actually didn’t put as much thought or care into her characters as the fans did (at least that’s how it’s always seemed to me). That’s actually been my most disheartening experience with a showrunner, to the point where I still can’t ready any of her interviews and I actually stopped watching the show for long stretches of last season. I might be biased, but as someone who’s known Eddy and Adam’s work since they were LOST writers, I feel like you’re right to trust them—especially with this story. It’s clearly a passion project for them, as it is for most of the cast. And I love it when you can tell showrunners genuinely love the story they’re telling. Those two writers have always leaned toward optimism and a love for hopeful moments, so I see no reason why that won’t continue, which is why they’ve earned my faith at this point. They believe in the story they’re telling, and that conviction is contagious. Trust becomes difficult, too, when the network gets involved. (I’m lookin’ at you Fox.) Sometimes the network can use its powers for good, sheltering smaller, niche shows or allowing shows with potential to find their way. Unfortunately, now it seems that something has to be a hit by week two or its gone. I was going to bash the networks in my post before, but it was getting way too long, lol. I think the most toxic thing for TV shows is the fact that the network holds all the cards when it comes to how long a show will be on the air. For me, a show allowed to stay on the air too long is just as bad as a show that was canceled too soon. I love that with LOST, the creators got to a point where they said “we are dragging, we want to move to the next stage and we can’t unless you let us have a set end date.” And they didn’t relent. And the network finally gave in and said, OK, 6 seasons, and then we got one of the best season finales of all time (through the looking glass), and the show was able to do what it wanted to do for the rest of its time on the air. I really wish OuAT would do something similar. I love the show, but 6-7 seasons is more than enough to keep me happy and rewatching for the rest of my days. I think it also helps make the show more approachable for those who want to pick up the show after its ended. Basically, I don’t know why I have so many opinions about the idea number of TV seasons, but I do, haha. “For me, a show allowed to stay on the air too long is just as bad as a show that was canceled too soon.” – YES. I’m a big believer in ending on a high note and on your own terms instead of going out with a whimper instead of a bang. I’ve always respected that about LOST, too, and the fact that LOST ended on its own terms gives me a little bit of hope that OUAT might do the same. 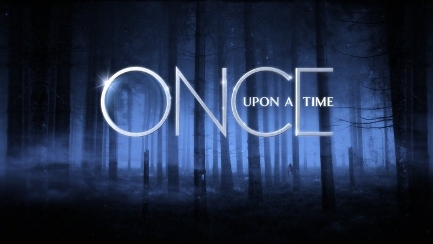 I agree that 6-7 seasons is perfect for most shows, and I think OUAT is one of those shows. Ugh…Networks…It’s so rare now to find network executives who will take risks on shows they believe in or writers they trust. That’s why I really appreciate FX’s belief in The Americans, even if it gets depressingly low ratings.